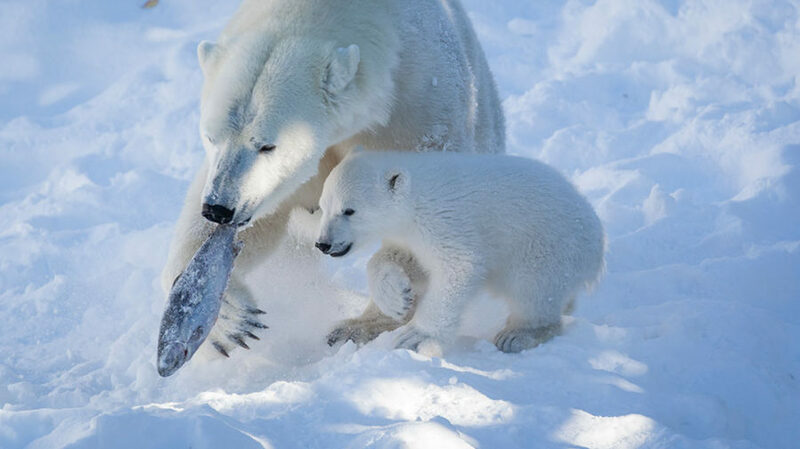 Female polar bear Venus gave birth to two cubs in Ranua Zoo on November 25th 2016. Despite tender love and care, one of the cubs sadly passed away after ten days. Upon birth, the surviving cub weighed around 500 grams and has now, after six weeks, reached three kilos. The cub is expected to weigh around ten kilos in a couple of months and exit the den for the first time in February or March. The public will be notified beforehand. Please read more on the Ranua Zoo website. Pictured Ranzo, the first ever surviving polar bear cub born in Finland and Ranua Zoo on November 18th 2011.